When a worker is injured on the job, it is considered a workplace accident. If the injured worker’s employer has purchased workers compensation insurance, the injured worker is entitled to workers’ compensation benefits. These benefits allow the worker to collect income while they recover for their injuries and are payable by the worker’s employer. However, there are times when the employer may deny the worker these benefits, leaving the worker without any sort of income. This can be extremely hard for injured workers as they are trying to recover from being injured and may not be able to work. In these instances, workers may be allowed to seek legal action against their employers. At Kaiman, Greene & Associates, we can help you. Sometimes workplace accidents happen because of negligence from someone other than the workers employer. Under those circumstances the injured worker may be entitled to pursue a personal injury case against the wrongdoer as well as receive workers compensation benefits. Have You Suffered From A Workplace Injury? If you answered “yes”, and you were not allowed to collect workers’ compensation from your employer or if you believe your injury was caused by someone other than your employer’s negligence, you should consult with a skilled personal injury attorney immediately. You should not have to worry about your financial well-being while you are trying to recover from your serious work-related injuries. In the state of California, the law allows for people who have been seriously injured in workplace accidents due to the negligence of someone other than the person’s employer to file a personal injury lawsuit to recover compensation for their pain and suffering, lost wages, lost future income, physical injuries, medical costs, and emotional trauma. If you believe that your serious injuries resulted from negligence, you should seek immediate legal counsel from a qualified personal injury attorney who has handled prior workplace accident cases. Identifies the country's top lawyers based on peer reviews, third-party research & a highly-credentialed review panel. 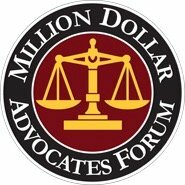 One of the most prestigious groups of trial lawyers in the United States, comprising less than 1% of U.S. lawyers. 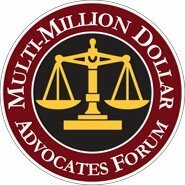 An even more exclusive group limited to attorneys who have won multimillion dollar verdicts and settlements for their clients. © 2017 - 2019 Law Offices of Kaiman Greene & Associates. All rights reserved.